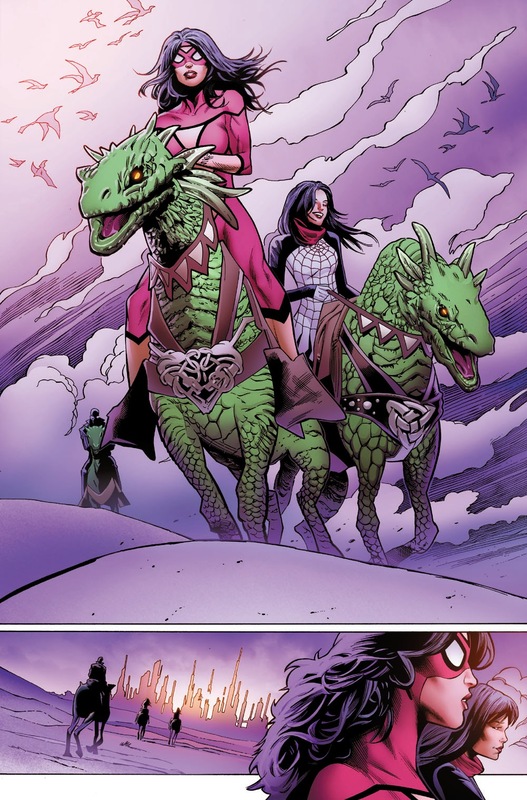 Jessica Drew Unleashed! 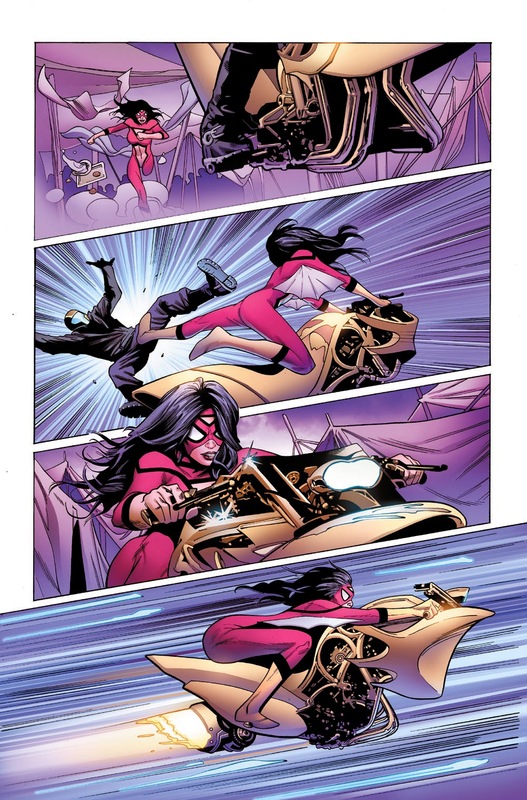 Your First Look at SPIDER-WOMAN #1! This November, launching directly out of Spider-Verse comes a brand-new ongoing series starring the original Spider-Woman! Today, Marvel is pleased to present your first look at SPIDER-WOMAN #1, the new ongoing series from the critically acclaimed creative team of Dennis Hopeless and Greg Land! 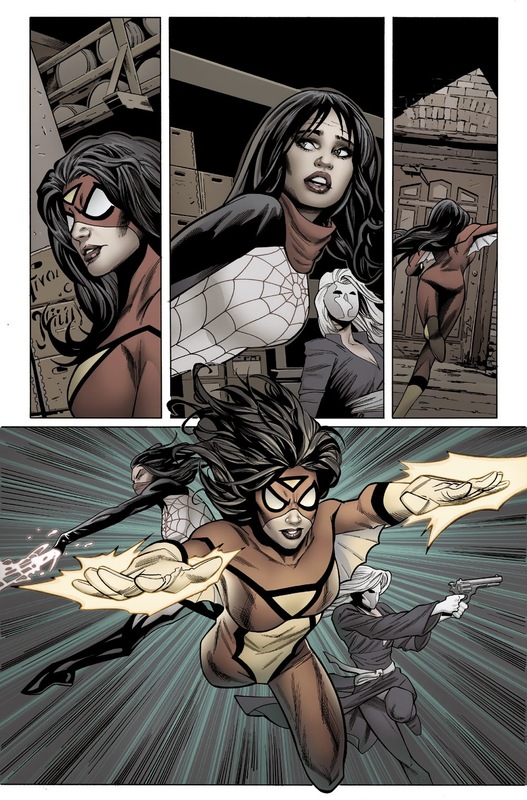 Jessica Drew has been many things – agent of S.H.I.E.L.D., agent of S.W.O.R.D., Avenger and so much more. She’s a hero to her very core, but nothing could prepare her for the multidimensional insanity of Spider-Verse! War has come to anyone with spider powers and they’re being picked off one by one. The supremely powerful Morlun and his twisted family will stop at nothing to eliminate every Spider-Man and every Spider-Woman in every universe. The key to their survival may rest in the hands of Silk, the newest spider on the block, who’s on the run for her life! Who better to keep her safe than Jessica Drew? An experienced soldier, a fierce combatant, and someone who won’t quit – she’ll lead her spider platoon deep behind enemy lines on a dangerous, universe-spanning adventure if she wants to see tomorrow. 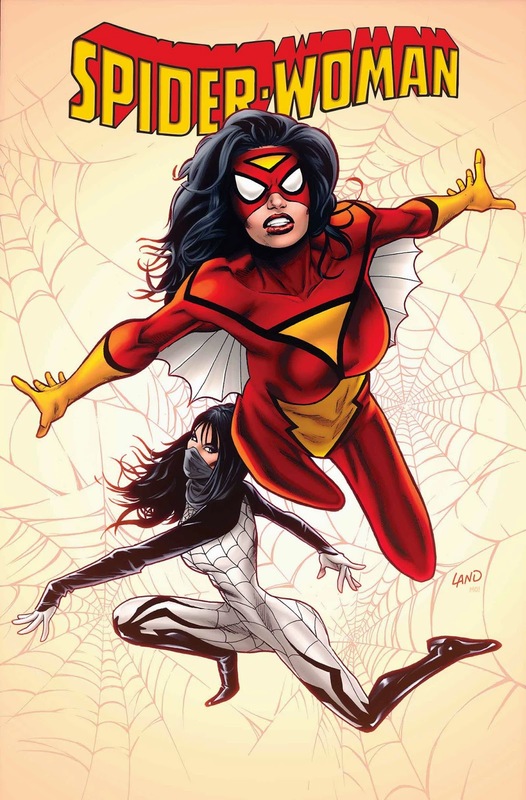 The one and only original Spider-Woman is a woman with a mission, and it will take all of her training if she wants to make it out of Spider-Verse alive. Who lives? Who dies? Find out as an all-new dimension hopping adventure explodes out of the pages of Spider-Verse in November’s SPIDER-WOMAN #1!